Wetlands - fen, marsh and swamp. In floodplains and around the margins of ponds, canals and ditches, as well as slow-moving sections of streams and rivers, there are often wetland areas with rushes, sedges and reed grasses on a wet and sometimes peaty soil. These offer some of the richest areas for dragon and damselflies and other invertebrates, amphibians, birds such as the nationally rare Bittern, and mammals such as Water Vole and Harvest Mouse. Wetlands that are normally flooded throughout the year give rise to swamp with tall reed grasses such as common reed, reedmace and reed canary grass, emerging from the water. In areas not always flooded, mire or fen can be found on permanently wet peat or peaty soil and marshy grassland on less water-logged, but still damp soils. Scrub encroachment can result in wet woodland. Although all forms of wetland habitat support wildlife, the most significant is reedbed - swamp dominated by common reed Phragmites australis - with its distinctive range of breeding birds including the nationally rare bittern. 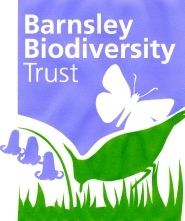 There are a number of reedbeds in Barnsley in river valley situations, in former colliery lagoons, or planted for water treatment with the largest reedbed in the area at RSPB Old Moor and Bolton Ings (>12 ha). 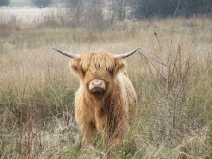 There are small areas of remnant lowland fen with underlying peat at Gypsy Marsh, Adwick Washlands and Carlton Marsh. Fen vegetation can also be found on the upland moors, falling within the Upland flushes, fens and swamps priority habitat. Fen, Marsh and Swamp is a broad habitat category under the UK BAP. Reedbed, lowland fen, and upland flushes, fens and swamps are each identified as UK priority habitat within the broad habitat category. These are within the mire (fen) and swamp categories of phase 1 habitat surveys and mire, and swamp & tall herb-fen NVC plant communities. All these habitats have potential value for wildlife. The best examples of these local priority habitat are sites that support species of high conservation importance, such as bittern; support good populations or assemblages of key species such as water vole, amphibians, dragon or damselflies; or provide a rich site for wetland plants or invertebrates. It should be noted however that some types of wetland vegetation can be invasive and care should be taken to prevent other valuable habitat being lost. Water abstraction and drainage, and intensive agriculture. Reed may invade and smother mixed fen, marsh or wet grassland which has its own value for biodiversity. This should be avoided. Grazing may help. 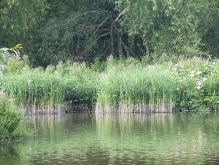 Keep water levels of reedbeds, swamps, mires and marshes at reasonably stable and appropriate seasonal levels. Scrub encroachment should be discouraged but in some small areas scrub should be retained. Maintain links with other wetland and non-wetland habitats. Flower-rich areas should be encouraged to provide pollen and nectar sources for adult insects. Storing cut reeds and other vegetation on site should be avoided since it can cause localised nutrient enrichment and decreased plant diversity/water quality.